COMMENTS: These tubes are perfect for our organic lip butter. They look great with labels and the matching caps. Never had an issue with warping or melting into the turning mechanism. My daughters steal them so now I have to get more for my store products. They do the job and that is a plus! COMMENTS: These are very good quality and the caps fit tight. No leaking around the plunger either. COMMENTS: Love these tubes! Great price and great product! COMMENTS: I love that they are clear, and I can see how much product is left. I suggest using the two beholder, it matches this product. It makes pouring so much easier. COMMENTS: I enjoyed how you could see the color of the type of balm through the container and overall it was just a clean look. COMMENTS: Great for lip balms! COMMENTS: These tubes are perfect and at a great price. Will order more! COMMENTS: I like that they are clear. My customers like to see the color of lip balm. I use them for lip scrubs also. Very durable. I’ve never had a problem with them. COMMENTS: I loved every these and they’re the best price I’ve found! Thank you WSP for your awesome products! COMMENTS: I'm definitely coming back for more of these! No issues with them, they work great. But I'm buying the filling tray too, it's tedious to fill them by hand. Whoever recommended using a hairdryer or heat gun to smooth out the tops, I'm not sure what I did wrong, but what a MESS, it melts the edges and sprays & splatters it out, leaving an ugly dome of unmelted lip balm in the center and balm everywhere. Instead, I set the full tubes upright under a heat lamp bulb (1 foot away) until the surface was smooth, then cooled & capped them. Nice smooth clean tops. No mess & waste! COMMENTS: I made beeswax lip balm with these tubes. They worked very well and are a great price! I will definitely purchase again. COMMENTS: These work perfectly for my lip balms and I will be testing with solid lip scrubs soon. They work perfectly, are easy to fill and the price can't be beat! COMMENTS: These look great and are well made. COMMENTS: perfect quality, will be purchasing more! COMMENTS: I've tried several lip balm tubes from various companies and these seem to be on point. Some hold more at .20oz claiming to hold 0.15oz but not these. They hold 0.15oz. That means that it doesn't fill completely to the bottom. 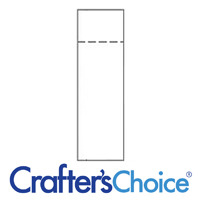 This used to bug me, but then I decided that if you say you are providing 0.15oz of lip balm and that's what you provide, you put your label on it, who cares that it doesn't go all the way to the bottom and actually fill 0.20oz? I will be buying more of these. Wish you shipped USPS though as UPS is terribly slow! COMMENTS: I always like a clear lip balm tube, and this one is perfect. Good quality.Good price. Love that you can see your balm through the tube. Really pretty. COMMENTS: These are exactly what you'd expect if you're looking for a chapstick tube. They don't leak and are high quality. Will definitely buy more. COMMENTS: Just the size I needed, Would buy again. COMMENTS: This is my favorite Tube to use for my lip balms. Will continue to purchase these when in stock. COMMENTS: This was my first time ordering lip tubes to make lip balms and they were perfect! I haven't had any problems with them. I love how they are see through, so customers can easily view the color of the lip balms. I will be ordering these again soon. COMMENTS: Even though you have to purchase the lip balm tops separately, these lip balm tubes are at a great value! Very sturdy for all of my lip balms that I make. I will always buy my lip balm tubes through WSP now, no other place can beat the price for the amount of tubes you get! 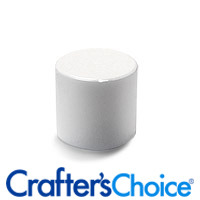 "Great quality, but DO NOT SKIMP/read on..."
COMMENTS: These are great for so many products! I use them mostly for lip balm, but they're also great for solid perfume, lip scrub and bath crayons. I've never had issues with leaking either! "Great product and good price"
COMMENTS: I use these with the clear caps and they look adorable. My customers love my lip balm because they can see the lip balm color before they make the purchase. COMMENTS: These are great! Perfect size, the cap fits snugly and doesn't pop off, the turning mechanism is smooth and they look fantastic. The only bummer is that when full they don't quite look full.. But when they have labels on them you can't tell. Great price for a quality tube. I pour my balms pretty hot, and I've never had one leak, so I'm happy! COMMENTS: I purchased these tubes to try my hand at lip balms. I went through my first bag in a couple of days! They are so easy to use, sanitize, and clean up in case of any spills. They fit perfectly in one's pocket/purse/bag. I definitely recommend this item. COMMENTS: Allows you to see the color of the lip balm. The tubes fit well into the lip tray for filing. The tube is sturdy and the twist turns easily. (caps sold separately). COMMENTS: Love that you can see color of balm through these. Easy to use. COMMENTS: I switched over to these clear tubes from the basic white ones and I love them so much better. My customers love that they can see the color of the balm before they buy. "Lids don't accidentally fall off"
COMMENTS: I have tried several other tubes and keep returning to these. I love that the cap doesn't pop off when the tube in in pockets and purses. The dial turns smoothly and I have never had a problem with them leaking while being filled. My only complaint is that the tube looks like it is only partially filled. I know that they hold the same volume as other tubes that I have used that appear to fill completely, but my customers feel like they are being shorted. My solution has been to cover the lovely clear tube with a label. COMMENTS: I really like these clear, slightly opaque tubes and (sold separately) tubes. They serve their purpose perfectly! I will purchase these again! COMMENTS: Love these lip balm tubes. The caps fit right and don't crack like others I have purchased in the past. • Caps fit just right. "Quality tube, but labeling is not easy"
COMMENTS: The lip balm tube itself is very nice, easy to fill and quality material. It has a frosty look which is really nice. However, I cannot get labels to stay on the tube -- I have tried multiple and after a day they peel back off. I simply cannot get them to adhere, which is very frustrating. COMMENTS: I bought these so the color of the balm would show. I didn't realize that only 3/4 of the tube fills. It looks like I shorted my customers. They ask why its not all filled. They are good quality but I wont buy again. Only average review since it looks not totally filled. COMMENTS: This tube served our needs perfectly. Smooth roll up and just the perfect size. "Nice lip balm tube "
COMMENTS: This lip balm tube is great for displaying colored lip balms. I use this item often. COMMENTS: Perfect for lip balms and fits in the shrink wrap perfectly. COMMENTS: These are adorable! I love that I can see what color my balm is! 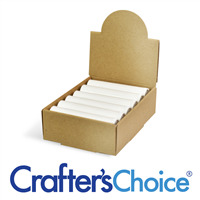 COMMENTS: I love this product to package my lip balms they are the perfect size! And big bonus they are clear so you can see how much you have left in the tube! COMMENTS: These work so well and are easy to fill. I make no bo sticks and lip balms with them and they're great! COMMENTS: Fits well into the filling tray. Caps and bands fit well. No problems at with any of the turning mechanisms. COMMENTS: The clear tubes work well for my lip balms. Good quality for the price. COMMENTS: These lip balm tubes are perfect and make a nice add-on purchase for customers. "Perfect size and cost efficient "
COMMENTS: Love the low cost and the transparency of the tube! COMMENTS: I love that the tubes are clear. You can see the product inside and get an idea about the color of the lip balm if any was used. I think they look more professional and high end than my plain white tubes did. I hope my customers agree! COMMENTS: These are the best value/quality I've found after shopping around quite a bit! Great tubes, they hold up well and don't warp. COMMENTS: I made soap sticks with these and they turned out great! COMMENTS: They arrived undamaged and were perfect for showing off my colored lip balm. COMMENTS: No leaking and I love the natural color! Great quality. COMMENTS: My lip Balms are perfect in here! 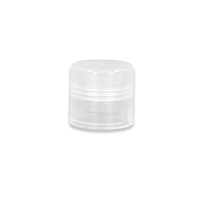 "kissable lips all the way"
COMMENTS: These lip balm containers are easy to fill and just the perfect size. COMMENTS: These lip balm tube are all I use for lip balms, they are wonderful, don't leak and look very professional! COMMENTS: These look great and easy to fill! "Great for my tinted lip balms"
COMMENTS: Love that these tubes are see through so that customers can see the color of my tinted lip balms. COMMENTS: loved them. looked nice, good quality. COMMENTS: Be sure to get the lip balm tube tray. It makes filling these containers so easy. These are my go to lip balm containers. Labels adhere well too. You won't be disappointed. "They do the job! " COMMENTS: These natural lip tubes are great for colored lip balm. It makes it easy to quickly spot which lip balm is which when I haven’t labeled them yet. I like the natural tubes because they are transparent enough to show off the color without being so see-through that flaws are obvious. The tubes are sturdy enough to do the job. COMMENTS: Just finished up making a whole lot of lip balms. These tubes worked great. I have read about tubes leaking if you pour too hot. Even when I got in a hurry these didn't leak on me. They roll up and down nicely. Just a good sturdy product. COMMENTS: I have purchased these tubes several times and love them. They hold up good in a purse or pocket. Will buy again. COMMENTS: These were perfect for my lip balm sets. COMMENTS: I used these many times and never had a problem with leakage or a faulty tube. I love the natural look. COMMENTS: These tubes are excellent quality and perform well. COMMENTS: I love them will be reordering soon. COMMENTS: I love pairing the natural lip tube with the black caps. I think it adds an upscale element to the plain chapstick tube. Easy to use and are durable. "Natural Lip Tube Only - Round "
COMMENTS: Good sturdy containers to hold my homemade lip balm. "Great price and good quality ! Cant beat that!!" COMMENTS: Good quality ! Cant beat that!! COMMENTS: I use for my lip balms. They are very good quality! My labels adhere nicely to every one! COMMENTS: I have never had any problems with these tubes. The twisting mechanism works well and doesn't break. The tubes hold up well to constant use. I will order again. COMMENTS: The color of the tube is as in the picture. the quality of the twist is nice. COMMENTS: I always order these tubes for my lipbalms, perfect size, have never received a faulty/damaged one, great overall quality and price. COMMENTS: These tubes are very easy to use. "Natural is the way to go!" COMMENTS: I love these natural lip tubs! I like to tint my lip balms to match the flavor oil I'm using. These tubes give you the ability to see that color in a "sneak peek" fashion! COMMENTS: These tubes don't twist to the bottom. They start about a 1/4 from the bottom. "Easy to Use, Comes already at the lowest position"
COMMENTS: These were well packaged, the twist dispenser was already at the lowest position so I didn't have to do that before filling. They fit the coordinating tops perfectly. I do wish they had a higher fill temp, you cannot use these if your ingredients have a very high melt point as the mixture gets too thick once it cools to 120*F. These are suitable for balms made with beeswax or soy wax, but not recommended with candelilla wax. COMMENTS: I've been buying these tubes for years and making Chapstick and now I'm making lipstick they're great. COMMENTS: Good lip tube. I like that I can see my product through the tube. COMMENTS: The first time I made lip balms they worked great,I had no issues. The second time I attempted I had some problems with these .15 oz tubes, they leaked from the bottom once I poured in the mixture, I had to throw away a few unfortunately, losing the tube and the mixture itself. WSP Response: These tubes have a max pour temp of 120°F. If the lip balm is poured above this temperature, it can leak out through the bottom. COMMENTS: I've used other companies tubes and they don't hold as much, and the lids fall off in pockets. These hold tight and are the best tubes I've found. COMMENTS: Nice sturdy tubes, caps stay on tightly. "so very nice and easy to use"
COMMENTS: These are very nice, easy to use and our products sell very well in these tubes. Will be ordering lots more very soon. Thanks! • products look so good in these tubes! "Just what I hoped for"
COMMENTS: I really like this lip balm tube. It is the perfect size. The opaque color is nice. My products are natural, so it goes well with my brand style. I use the filler trays for a super quick job. COMMENTS: Love these lip tubes. They work very well. I recommend the lip balm tray for filling them. It makes it so much easier. COMMENTS: Great quality, great price! Will definitely be reordering these from WSP. COMMENTS: Great quality and best price. COMMENTS: I have used these tubes for years and I still love them! I like that my clients can see the balm color inside. The coordinating color caps make it easy to distinguish between flavors too! Love them! COMMENTS: These are the only lip tubes I will buy now! They look really nice and my labels fit them perfectly. They also fit into the lip balm tube holders well unlike some other brands I have tried. My customers love the natural look! COMMENTS: Very high quality tubes, and very consistent. You can find tubes for a few cents cheaper per tube elsewhere but the quality is spotty. These are excellent quality for the cost... probably the best quality vs. cost ratio out there. COMMENTS: Do remember to order the caps for these lip balm tubes. COMMENTS: Nice sturdy. I ordered a lot of them and so far I have had no issues at all! "All I use for Lip Balms"
COMMENTS: These lip balm tubes have been wonderful. I've used hundreds and hundreds over the past year, and they are always perfect and reliable. No deformed ones, no broken ones, they always work- which is what I am looking for. Will continue to use. COMMENTS: I love this clear tube. 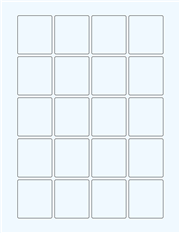 Customers can see product and they are easy to fill. COMMENTS: I have never had a bad lip balm tube from WholeSupplies Plus! The tubes all roll as expected, come in excellent condition and nicely packaged for easy storage until needed. COMMENTS: I ordered these lip balm tubes because of the great price. They worked very well with my lip balm recipe. The balm glides smoothly up and down. I was able to use address labels for my labels with just a quick wipe of alcohol first. A great product! COMMENTS: Exactly what I was looking for at a reasonable price. Will be ordering a larger quantity. COMMENTS: Your perfect standard size lip balm tube. I prefer the natural look! You can see what color is inside and to me just looks nicer that way. Customers can see that they're getting a full tube too! Will be buying plenty more, lip balm was a hit at my farmer's market. "Round tube & only tube"
WSP Response: Lids are sold separately in most cases to provide the customer the ability to customize their packaging options. We also occasionally offer surplus colored caps for a limited time that offer additional packaging options. "Use for my lip balms"
COMMENTS: These work very well for my lip balms. I have had no problems and they are cost effective. COMMENTS: I have been using oval tubes for a long time, but the switch to round tubes seems to have a better response from my customers! All but one have said they like the look better. I use in my chapsticks, and they work very well! No issues with closure or turning mechanisms. I highly recommend! COMMENTS: The natural tube allows the customer to see exactly what they are getting...the tube fit perfectly into the "lip balm filling tray"....will only buy these from now on. "LOVE, love, love these tubes!" COMMENTS: Making lip balm is my new favorite thing to do and these tubes make it very easy! Good quality, not a single bad one in the batch. The lids fit perfectly and the tubes didn't warp or leak even when I thought I might be poring too hot. Can't wait to order more! Only complaint is I wish there was a price break between 48 and 5000. That's a large jump in quantity! COMMENTS: I have yet to have a tube that was the defected. I get the clear ones so I and the customer can easily see the lip balm. COMMENTS: I prefer using the clear balm tubes over white or black tubes. It allows me to see if there are any issues or air bubbles when filling them with product. I can also see when my tubes are almost out of product when using for personal use. COMMENTS: I've used several hundred of these lip balm tubes and have not had a single problem with them. They're sturdy and good quality. COMMENTS: I love these clear tubes for my lip balms, very elegant. COMMENTS: These work great. They are good quality. I don't have any problem with the hot oil seeping in the bottom. COMMENTS: I used these for my all natural lip balm. They are awesome. I just re ordered more. COMMENTS: Makes products look very professional. However, I had a few that didn't work once the lip balm was poured into them. They no longer would push out the lip balm. "Love the tubes, but different quanities?" COMMENTS: This tube is perfect for making lip balm. It's just the right size and easy to fill. "great tubes, easy to use"
COMMENTS: These are easy to use with the filling trays and spatula, We sell tons of balm for winter. COMMENTS: These are a great quality tube which displays the lip balm very well. They hold up well and are easy to use. Will definitely reorder. COMMENTS: I ordered these with the clear round tops and they fit perfectly. I didnt have any trouble with them staying on at all. COMMENTS: I haven't used these as of yet but when inspecting they appear to be a high quality product. Much denser in design than products I have bought elsewhere and at a far cheaper price. I have no worries that this will perform well for me and my customers. COMMENTS: My customers love the look of these see through lip tubes. They're able to interact with the product, and in my opinion, it just looks more professional. I'll definitely buy them again! COMMENTS: A solid product, fit another tray holder I had that was a different brand. Worked perfectly. Will buy more. COMMENTS: Love Love Love these My lip balms are my number one seller! These are the perfect addition to my line! COMMENTS: I used this for the Cranberry Sugar Lip Scrub. It was my first time and I struggled with the pour, but in the end, found them easy to use. COMMENTS: I like the natural colored plastic because it gives my products a natural and clean look. You can easily mix and match cap colors or color your balm to see through the tube. COMMENTS: The clear natural color leaves this little product open for many direction of purpose & label. These have proved handy for a versatile last minute add on to gift basketts with many different scents & colors. COMMENTS: Great lip balm tube! Never leaks and is easy to use. 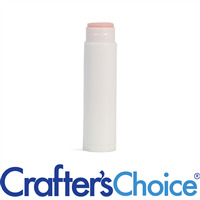 COMMENTS: Great for solid perfumes, travel sized solid lotions and lip balms! COMMENTS: These lip tubes are very easy to use. By using tinted lip balm, the tube becomes the color of the product since you can see through it. This makes it more appealing to customers. "Great lip balm tubes that are translucent "
COMMENTS: these lip balm tubesare great for making lip balm or lipstick. They are translucent so you can see exactly what is inside. COMMENTS: These tubes arrive in perfect shape. They make a nice presentation for my lip balms! COMMENTS: I use these for my lip scrubs and more just recently for my lipsticks. I love that the packaging is such a good deal and there always seem to be specials. Never stop carrying these! COMMENTS: is great for Lip balms and colors. Perfect size. "Filled them up tonight - awesome"
COMMENTS: I'm so glad I purchased these! They are very nice and classy to look at, and they work great so far. Now I just need to make some labels for them and I'll be set! I will definitely purchase these again! COMMENTS: These are great if you like creating different lip balms but don't want to fool with ordering different colored tubes and caps. The natural see-through container allows you to tint each balm the color of your choice. The natural tubes are simple, elegant, and efficient. "Great price just as expected"
COMMENTS: I wrap my toaster oven tray in plastic wrap and poke holes in it to get them to stand up on their own. They fill nicely and do exactly what they should. They also have a nice price as you buy in bulk. Perfect for my with a five yr old that loses them all the time. "Perfect shape & size and you can see the product"
COMMENTS: I use these tubes for my Lip Balms. I love them. Customers love that they can see the Lip Balm and that they are the same size as the commercially sold chap sticks/lip balms. These are easy to fill. With all the colorful caps you could easily customize them even more. I recommend these without a doubt! COMMENTS: When I started making lip balms, I used only the white tubes. I preferred the white ones but needed to reorder and the white was not in stock. So I chose the clear or natural and now I like them so much better than the white ones. I don't use any coloring in my lip balms as I like to keep them all natural looking. With the clear tubes the customer can see that the lip balm isn't colored. COMMENTS: love these lip balm tubes! They fit perfectly with the lids! These are the only ones I buy! COMMENTS: NATURAL Lip Balm Tube- perfect for lip balms and solid perfumes! • Great for solid perfumes. • Great for lip balms. 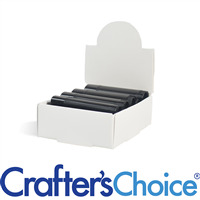 COMMENTS: These are a perfect fit for my tube trays and the lids are always a snug fit. COMMENTS: Sturdy, attractive, well made. No problems with them at all. "Good quality lip balm tubes"
COMMENTS: These lip balm tubes are just what you'd expect. High quality plastic, easy to pour when you purchase the round filling tray, and they work perfectly every time. I like the different colored cap options for different flavors too. Great price too. I'll keep ordering this one! COMMENTS: I loved these tubes. They work great for my lip balm. COMMENTS: Have used these lip balm tubes for years! Always a big hit, never a quality issue. COMMENTS: I have bought these many times. Always in perfect upon arrival. Great price too.